The comics world recently lost a legend. Steve Ditko was the artist who co-created Spider-Man with Stan Lee. 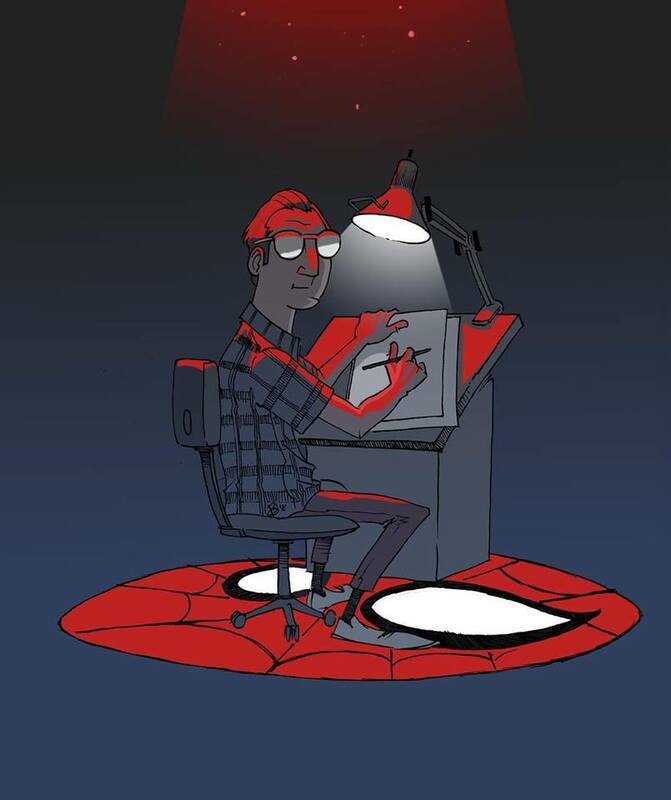 He drew the first-ever Spidey comic, Amazing Fantasy #15, and the historic first 38 issues of The Amazing Spider-Man. Along the way, he helped create some of Spidey's most iconic characters and villains, including J. Jonah Jameson, the Green Goblin, Dr. Octopus, and more! SMASH writer Chris Bolton's first exposure to comics was a Pocket Books paperback reprinting some of those early Amazing Spider-Man issues by Lee and Ditko, which he read until the covers fell off. He would find clumps of pages around the house for many years afterward. SMASH has often been described as "Calvin & Hobbes meets Spider-Man," which is the precise balance Chris and Kyle were hoping to achieve when they created the series. Without Ditko’s astounding work, Chris never would have developed his lifelong love for comics and dynamic storytelling. Rest In Peace. steve ditko, in memoriam, rest in peace, spider-man, stan lee, comics, comic books, amazing spider-man, Chris A. Bolton, kyle bolton, Smash, influences, R.I.P. One for the undead homies. Beloved actor Christopher Lee passed away at the age of 93. Best known for playing Dracula in many classic Hammer Horror films and, most recently, Saruman in the Lord of the Rings films and Count Dooku in the Star Wars prequel trilogy, Lee was iconic in voice and appearance. He will be dearly missed and impossible to replace. In this image, SMASH artist Kyle Bolton pays tribute to one of the great undead.